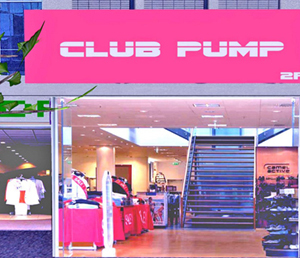 Club Pump is a relatively new female-centric fitness club that resides in Everton Village, a popular shopping district near Downtown Metrobay. Among other features, the club boasts state-of-the-art exercise equipment, a Swedish sauna, a massage parlor, and a fully-stocked organic juice bar. It has become very popular with many girls for its extremely effective workout programs and diet plans, and many men atMetrobay University have recommended it to their girlfriends. The club is owned and operated by local entrepreneur Lance Hardwood, with assistance from lead fitness instructor Brunhilda Krammpacher. While the outer appearance appears to be a simple health club, the sinister truth is that Mr. Hardwood has been using his business as a front to lure and control many young, attractive women, and to make a profit by exploiting these ‘loyal’ members for his own benefit.